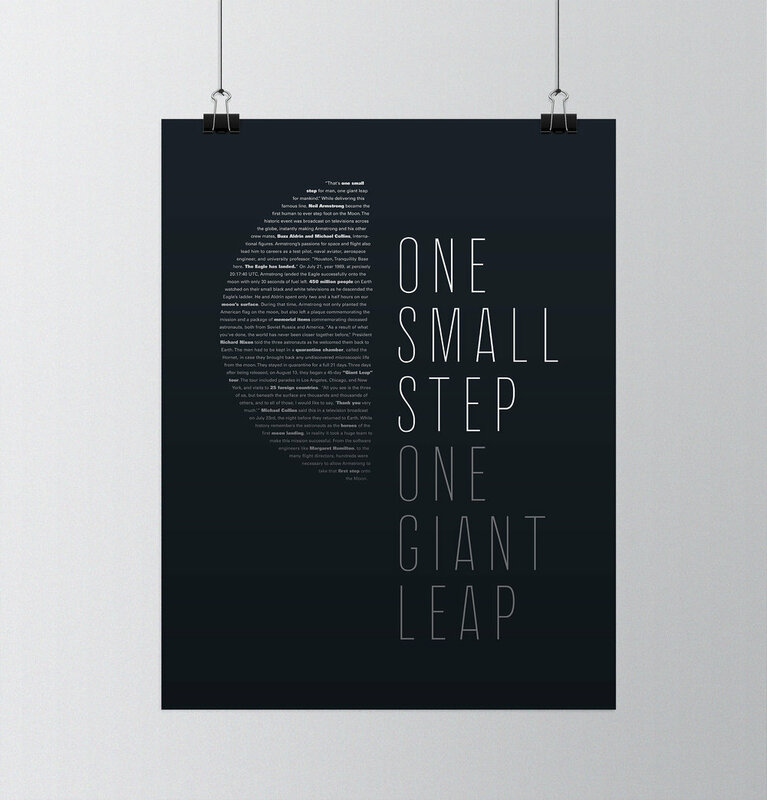 For this project, we were tasked with creating a poster for any historical explorer or inventor. 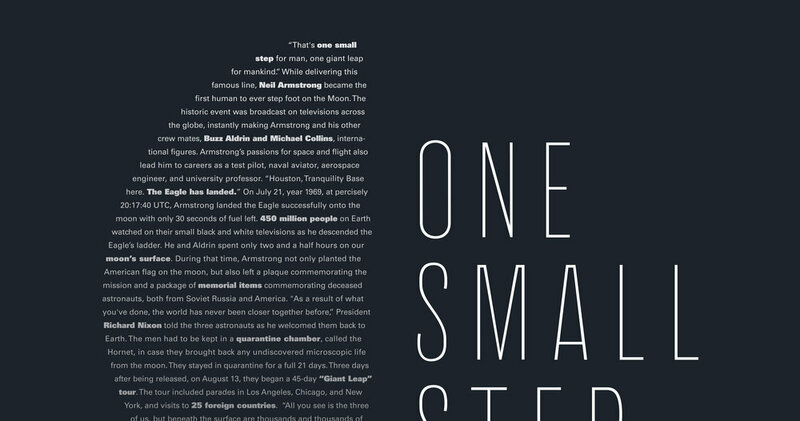 I decided to design for Neil Armstrong, excited by the visual and minimalist nature of space. I also gave myself the extra challenge of using type only.